The worst thing you can do is to try to ignore your financial problems. If you get a letter or a phone call from a creditor you should not ignore it! Council tax arrears - read more.. If your priority creditors are threatening to take court action against, you can send them a holding letter explaining your problems. Tell them that you will contact them in the next two to three weeks. They will likely give you some time to start your financial planning but do not take advantage of their good will. If you think that you can use your budget to help pay back your debt in a timely fashion then start paying back your debts. 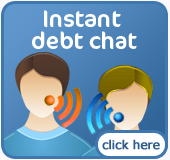 Your creditors may let you pay back a bit extra each month until the arrears are cleared. This is probably the best option. If this isn’t possible you are going to need to seek professional advice immediately. 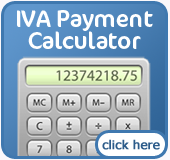 One option is to contact IVA.net and ask about the different insolvency solutions available to you.